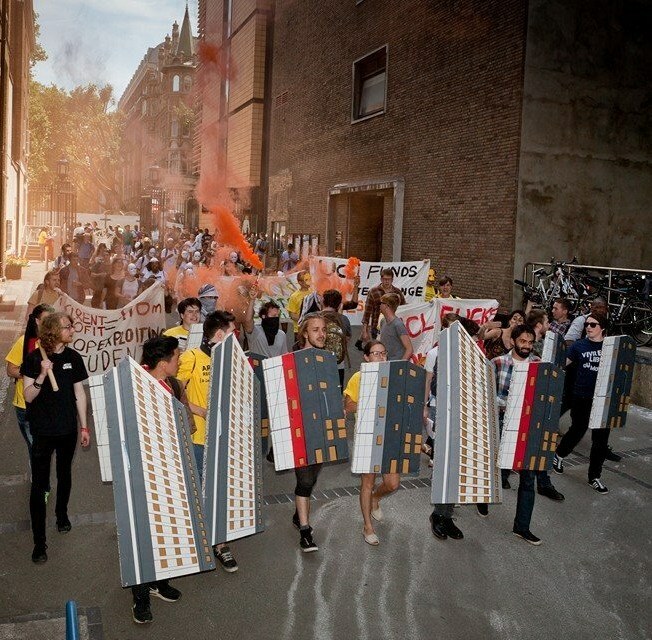 All demands by the UCL Cut the Rent campaign have been met by the Central London university after a sustained campaign focussed on "tactics of disruptive protest, direct action and rent striking". The campaign will now escalate to demand rent cuts cross the campus. After a protracted, hard-fought campaign, all 238 former residences of Hawkridge House have had their demands accepted in full by UCL. The settlement will award each student, many of whom participated in a rent strike, £1,200 each - the equivalent of a 9-week rent cut and a total sum of almost £300,000. This follows last month’s announcement that student rent strikers at Campbell House would be awarded over £100,000 for the 'unbearable' living conditions they experienced, as well as last week's victory for the current residents at the hall of a 25% rent cut, totalling another £100,000 over the course of the year. This marks a new beginning for the student housing movement - these tactics of disruptive protest, direct action and rent striking have been proven to be incredibly effective. Utilised on a university-wide scale, it is clear the campaign for affordable rent prices can and will be won. Full press release and more on UCL, Cut the Rent Facebook.